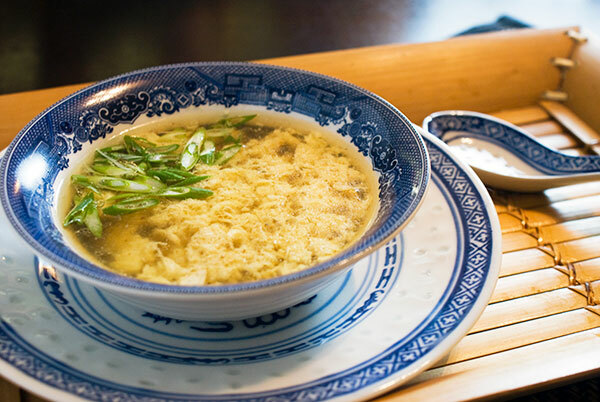 Easy Egg Drop Soup ! In a large saucepan, bring broth to a boil over medium heat. Combine cornstarch and water until smooth; gradually stir into broth. Bring to a boil; cook and stir for 2 minutes or until thickened. Reduce heat. Drizzle beaten egg into hot broth, stirring constantly. Remove from the heat; stir in onion.